When allergy season hits, say hello to congestion, itchy eyes, sneezing, cough, and sinus pain and pressure. Anyone who suffers from seasonal allergies knows they can make you downright miserable. If you’re particularly sensitive to seasonal allergies like hay fever, it can be all too easy to unknowingly make your symptoms worse, whether it’s by taking a dip in the pool or by wearing shoes around the house. There are other ways of finding allergy relief besides treating symptoms with medications. Take note of these was you might be escalating your allergies. Some of them may surprise you. When you spend a lot of time outside, particularly if you’re working out in the yard, pollen can end up on your skin and hair, worsening allergy symptoms. If you’re highly allergic to pollen, it’s a good idea to take a second shower after you come inside, to rinse away the pollen and help avoid allergy symptoms, explains Mark S. Dykewicz, MD, professor of internal medicine and director of allergy and immunology at the Wake Forest University School of Medicine in Winston-Salem, N.C.
You can carry quite a bit of pollen into the house after you’ve been exposed to it by exercising or working outside. If you don’t take off your shoes as soon as you come into the house, you may be tracking pollen into every room. The same goes for your clothes. It’s not necessary for everyone, but if seasonal allergies like hay fever are particularly troublesome for you, change your clothes as soon as you come in and throw them in the wash to keep allergy symptoms from following you home, Dr. Dykewicz advises. It can be hard to resist the allure of a warm spring breeze once the temperature rises, but opening your windows when seasonal allergies are at their peak is like giving pollen an open invitation to invade your living space and cause allergy symptoms. Keeping your windows closed and using an air conditioner with an allergy filter can be an effective way of treating allergies and may help you breathe better, says Dykewicz. Drinking any type of alcohol increases blood flow to the linings of your nose and can make nasal allergy symptoms worse, notes Dykewicz. Also, if you’re someone who has year-round nasal issues, including frequent congestion, this scenario can be complicated by alcohol. When seasonal allergies hit and you’re already feeling congested, skip the beer or wine to avoid worsening allergy symptoms. Odors such as chlorine from a swimming pool and strong perfumes can irritate the nasal airways and lungs and make you cough. Irritants such as perfume and dyes in cosmetics and cleaning products can also cause an allergic skin reaction, known as contact dermatitis. Dermatitis can cause a rash, lead to itching, which will make your other allergy symptoms feel even worse. Some medications for treating allergies like cetirizine (Zyrtec) and fexofenadine (Allegra) last 24 hours and don’t need to be taken at night. But if you’re combating allergy symptoms with a different antihistamine first thing in the morning, keep in mind that its effects will only last six to eight hours. If you don’t take it again before going to bed, you may wake up to more allergy symptoms in the morning, Dykewicz says. Check the label of your medication to be sure you’re taking the correct number of doses for your seasonal allergies. If you’re allergic to dust mites, using a humidifier may make your allergy symptoms worse, especially if you use one in your bedroom. Humidity promotes the growth of dust mites, Dykewicz explains. The best thing for treating allergies from dust mites is dry air. So if you suspect a dust mite allergy, stop using your humidifier and see if your symptoms improve. People with seasonal allergies often have antibodies that can cause their immune system to overreact to certain foods. This phenomenon is called cross-reactivity. For instance, if you’re allergic to ragweed, you may experience allergy symptoms like itching on your lips, tongue, and mouth if you eat bananas, melons, cucumber, or zucchini, Dykewicz says. If you’re allergic to birch tree pollen, you may have allergy symptoms after eating apples, pears, peaches, hazelnuts, kiwi, carrots, or celery. 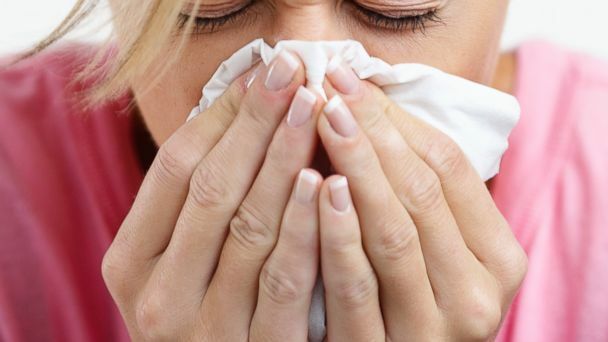 These problems may only occur during the season that your allergies are at their worst. Regardless of the season, help minimize your allergy symptoms by keeping all of these triggers in mind and avoiding them as much as possible.